Pearlscale goldfish although is a funny-looking clumsy fish that often swims in an erratic manner due to its rounded body shape, coincidentally it is also one of the most beautiful fish species due to its striking coloration. The fish is famous in the aquarium trade not only for its charm and beauty but also for its ever increasing high demand expected from its owner to maintain the perfect water condition for it to live in. 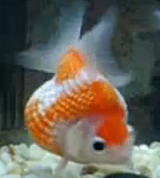 Loved by both kids and adults alike, the fish never fails to amaze anybody looking for the perfect pets. Kribensis or better known as rainbow crib is an aquarium fish famous for its mix of different coloration that resembles a rainbow. It belongs to the cichlids fish family and unlike most of its cousin; kribensis is generally categorized as a peaceful loving fish that fits into any aquatic community. The fish is also easy to care and it is often recommended to any fish beginners to the freshwater aquarium hobby. Its striking coloration shown especially during the mating season will have anyone full of admiration. 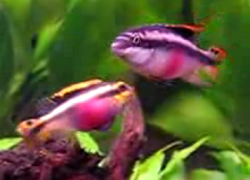 Therefore, if you are one of the enthusiasts searching for a beautiful fish for your community tank, then kribensis is definitely the best choice. 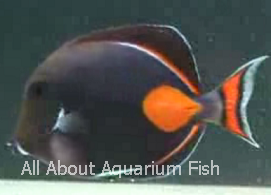 Tang is a rare aquarium saltwater tropical species highly sought after by fish enthusiast. Tang is made up of a wide range of diverse groups of individual fish species that is unique and special for its blend of attractive coloration. Among the most beautiful fish in this Acanthurus genus that is worth mentioning here is the Blue Hippo tang and the Achilles tang which are active colorful swimmers which will keep you busy all day as you observe and watch their movements. However, one of the downside that prevents you from keeping the fish is the difficulty level of care that it needs and Tang is definitely not the type of fish recommended for beginners. 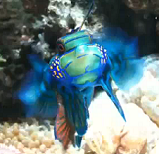 Mandarinfish is among the most brightly colored saltwater fish species, cherished and admired by every fish hobbyist. The color profile is basically made up of combination of blue, green and yellow marking that forms a balanced color stripe creating a beautifully defined pattern. Unfortunately attempts to keep the fish in a home aquarium tank often results in failure because it is almost impossible trying to get the fish to acclimatize to artificial fish tank environment. Even the choice of food for your mandarinfish often becomes a major issue as the fish can be highly selective and extremely picky on what to eat.